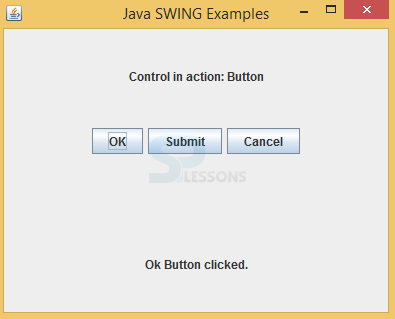 The functionality of Event Handling is what is the further step if an action performed. 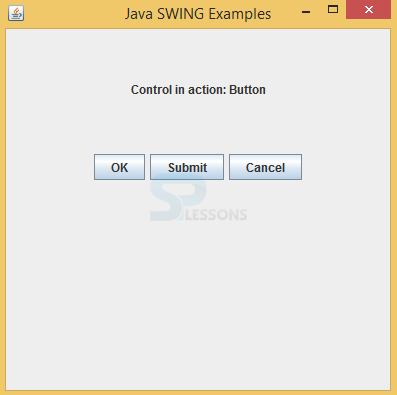 Java foundation introduced “Delegation Event Model” i.e describes how to generate and control the events.The key elements of the Delegation Event Model are as source and listeners.Source is an instance and supplies data about to happen event to the event handler.The listener is also an instance and it gives the return alert in the event after the event has been received. Before this process listener should have registered on source for the purpose of alert notifications. Delegation event model overcomes the problems of hierarchical models. Before constructing the listener class, a developer should have the listener interface which consists of callback methods.Callback methods should be implemented by listener class. Following is an example for the event handling. Here created constructor for the class name. Created main frame as follows. Added WindowListener to the main frame and written frame closing code as follows. Output when compile the code following is the output will be displayed. When click on any button corresponding alert will be come. 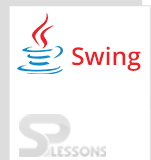 All the swing components will be available in import javax.swing. *; package.